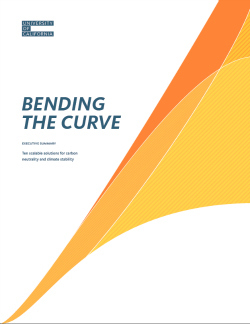 Bending the curve: Ten scalable solutions for carbon neutrality and climate stability, due out in the spring includes practical solutions such as reducing short-lived climate pollutants. 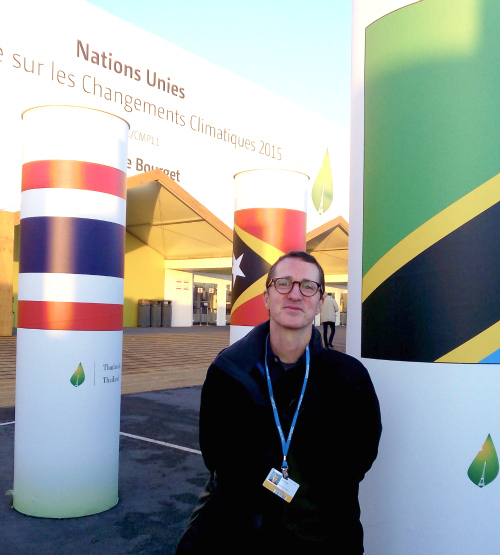 Environmental studies professor Daniel Press attended the 2015 United Nations Climate Change Conference in Paris in December. Social Sciences Dean Sheldon Kamieniecki co-sponsors the Climate Science and Policy Conference 2016 in February with the dean of Physical and Biological Sciences. After a landmark deal at last month’s United Nations climate change conference to curb greenhouse gas emissions, three UC Santa Cruz environmental studies professors who closely follow climate change offer thoughts on next steps in advance of a major climate conference at UCSC in February. “It’s all about implementation,” said Sheldon Kamieniecki, dean of Social Sciences and professor of environmental studies. Immediate and long term solutions are needed, he said. “We have moved from mitigation to adaptation. Kamieniecki and other leading climate experts from across the country will discuss the climate’s future at the third annual climate science and policy conference next month, a two-day event co-sponsored by UCSC’s Social Sciences and Physical and Biological Sciences divisions. Panels will address public health, geoengineering, and geopolitics. The moral question of climate change is a pressing concern for professor S. Ravi Rajan. Rajan, working with the Global Network for the Study of Environmental Human Rights, highlighted a crucial gap in the Paris deliberations by drafting a resolution that draws attention to the human rights implications of climate change. “There is the planetary issue, but there is also a human rights component,” Rajan said, asking who will pay the costs of the earth’s rising temperatures and how. Rajan, a board member of Greenpeace International, sees issues of migration, accountability, and human rights as measures that need to be addressed. He points to the case of environmental refugee Ioane Teitiota from the small pacific island of Kiribati who migrated to New Zealand because of the threat of rising sea levels. He predicts there will be more cases like Teitota’s to come. Rajan is deeply concerned about how countries are going to be held accountable to their commitments in the Paris Agreement. 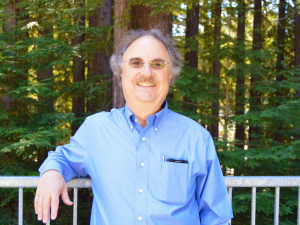 Environmental studies professor Daniel Press, who attended the Paris conference last month as part of the University of California delegation, said the time to innovate is now. “We only just started to turn a rhetorical corner where people have stopped talking about climate change’s catastrophic costs and are addressing its opportunities,” Press said. .
Press, who has spent more than 25 years exploring the environmental impact of climate change, is co-author of the UC report, Bending the curve: Ten scalable solutions for carbon neutrality and climate stability, set for release in the spring. Press and Veerabhadran Ramanathan, a distinguished professor of climate sciences at the Scripps Institution of Oceanography at UC San Diego,recently publsihed an op-ed in the op-ed in the Los Angeles Times that described some of the practical steps that can happen immediately. Climate science policy and research will be addressed Feb. 26-27 at the third annual climate conference at UC Santa Cruz. The theme is “Earth's Climate Future: Uncharted Territory." Keynote speakers will include Nobel prize winner, former U.S. Secretary of Energy, and now Stanford professor Steven Chu and Ken Caldeira, a climate scientist also at Stanford, where he investigates issues related to climate, carbon, and energy systems.